Holly Turner loves to assist. Plain and simple. She’s been doing it since her first game with the Massachusetts women’s lacrosse team. In her first game as a Minutewoman, attacker Holly Turner stepped onto the field, shaking—mostly from the cold, but also from some nerves. She’s a freshman and she’s about to get her shot. 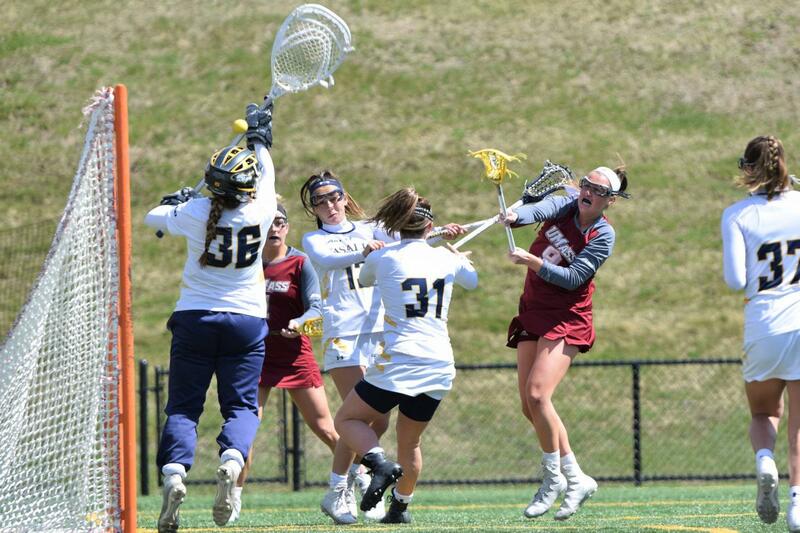 In a close game against Connecticut, UMass coach Angela McMahon signals for Turner to take the field. Minutes after assuming her position on the McGuirk Alumni Stadium turf, she assists on a goal scored by Hannah Murphy. That was assist No. 1. The game would need two overtimes before a final score could be recorded. This mentality of going out and just playing the game has stuck with Turner since that game her freshman year. 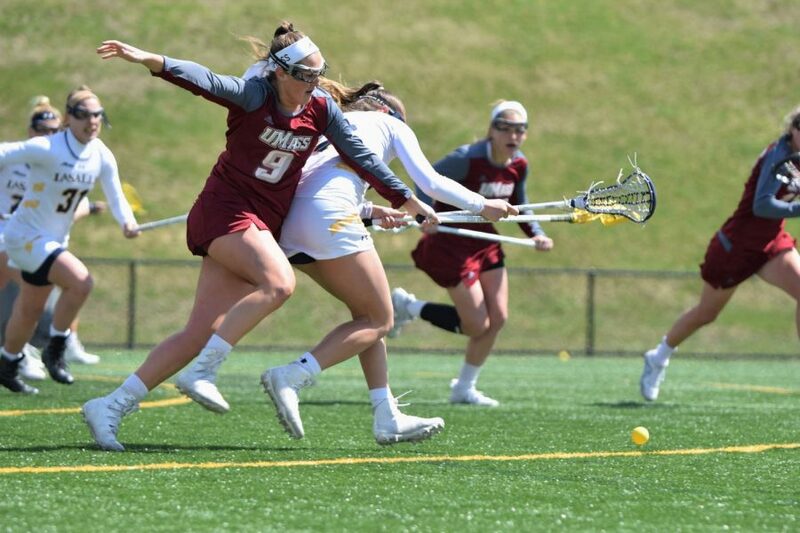 To Turner, it’s not about her accomplishments; the most important part of lacrosse to her is the team and how she can best help everyone else, not the statistics and rewards that have marked her career at UMass. She deflects most questions regarding her performance, attributing her success to wanting to do what’s best for the team. The team, to Turner, comes first. The team that brought her here in the first place. Growing up in Pittsford, New York, Turner’s life revolved around lacrosse. After a brief stint playing soccer in the first grade, someone suggested she switch to lacrosse. Years later, when looking at schools to play lacrosse for, she held the familial atmosphere in high regard. During her time at UMass, Turner has established herself as a leader and role model to younger players. 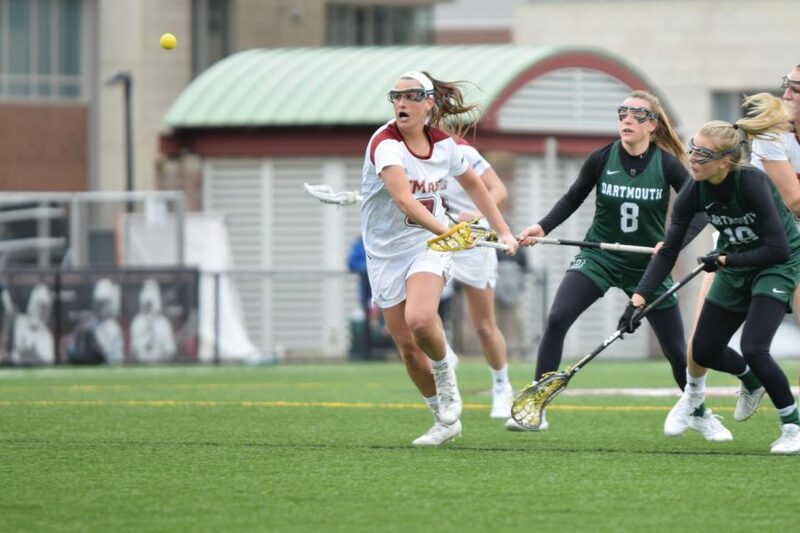 With her abilities to see where others are on the field, play the crease and tally points in almost every match she plays, Turner’s statistics tell a tale of dominance in Division I lacrosse. Turner currently holds the record for most single-season turnovers, second for most single-season assists and first for most single-season assists per game. Those are just her single-season records. She’s ranked in almost every offensive category and she leads the team in points and assists. But when you ask her about it, she’ll tell you that she doesn’t even know that she breaks a record until after she leaves the turf. The key part to her play and her records is her penchant for assists. Turner loves to assist. It’s her main goal the second she steps on the field. She doesn’t want to score the goal herself; she would rather have someone else take the shot that she wants to set up. This season, Turner leads the team in assists and has the most career assists in program history. Assisting has always been a part of her game. Turner learned her role on the field through her time as an underclassman. One of the teammates who she assists almost every game is captain and fellow senior Hannah Burnett. The two together are a force. Strong passes from Turner from behind the net to Burnett are commonplace and are executed with near perfection. Turner’s ability to connect her pass with Burnett for the opportune strike on the goalie has come to dominate statistics sheets. Turner and Burnett attribute their success together to an instinctual connection they share. Burnett reflected the same sentiment about the two. “I just kind of always know when she’s going to look to pass and she knows when I’m going to cut. It’s kind of this unspoken connection that we have and it’s able to bring us some success, so it’s been really fun,” she said with a smile. Turner views Burnett as one of her mentors, even if they are in the same class and have played the past four years together. Now Turner is breaking the records of her mentors and hopes to be a mentor to younger players in the same way. The upperclassmen had profound impacts on how she played and how she has become the player she is today. In the Atlantic 10 Finals last year, Turner was locked off by Richmond’s defense behind the crease in the second half. She had scored the first Minutewomen goal of the game in the first half, but she was stuck. She couldn’t make the plays she wanted and couldn’t get a shot herself. As she usually does, she looked for her teammates who were open. When she did get the ball, she was able to get behind the crease and release a side-arm shot, tying the game at 12-12 with seven minutes remaining. Surprisingly, Turner did not register an assist in the championship game. Turner recognizes that her performance is affected by the defense, which has contributed to how she plays. Turner is looking forward to going back to the A-10 Tournament this year because it means more games with the team she loves. Moving away from her time at UMass, Turner reflected on how playing lacrosse here has changed her and allowed her to grow. Her confidence has grown over the past four years to improve her game to assist the entire team, not just to score goals. She never anticipated playing at this level. 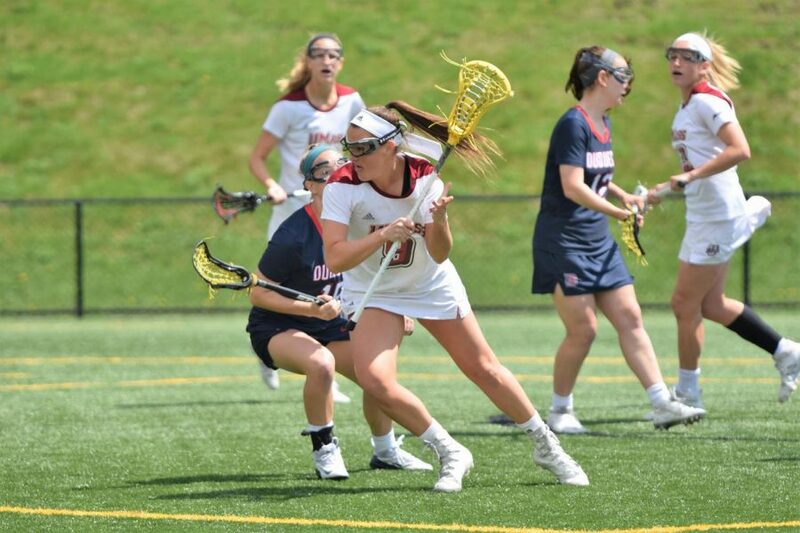 Last month, Turner was drafted to play professional lacrosse with the Boston Storm, a member of the United Women’s Lacrosse League. It was announced that she was drafted on Twitter, yet she only found out after her mom called her with the news. She’ll be playing with the team this summer. As Turner looks to win another A-10 championship at UMass, she sees it the same way that she has seen all of her games since her freshman debut. That mentality of just going out and playing the game, and having fun with it, has allowed her to be successful as a Minutewoman. “She has been setting her mark all through her career,” McMahon said. That game vs. UConn and that moment made Turner realize her place on the team. It gave her the confidence to grow as a player and become the player she is today. As Turner looks to continue her streak as a top A-10 player, she’s going into the tournament and her future in the same way that she went into the game her freshman year: it’s just another game and it’s another chance to play the role she was born to play. 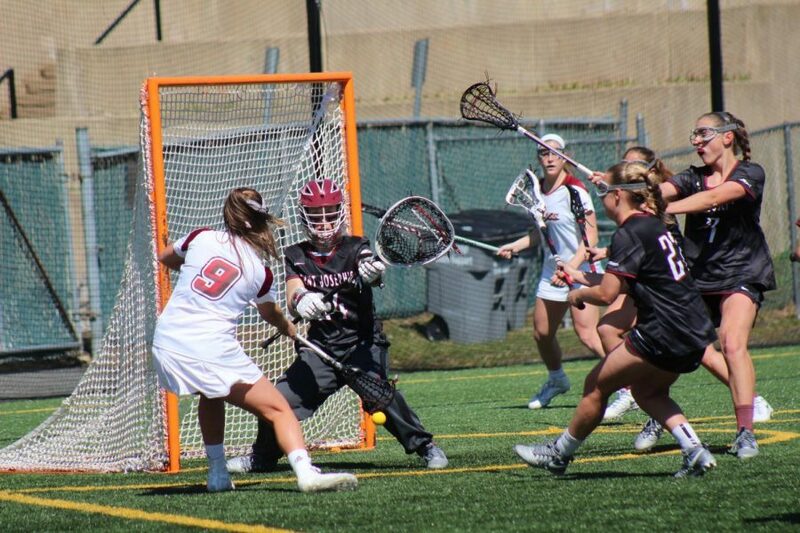 So Turner will finish out her college career ignoring the glory and accepting her role as just another part of the machine that is UMass women’s lacrosse. She will finish the way she started: just playing the game and taking every chance she can to get the win because that’s what she came to UMass to do.